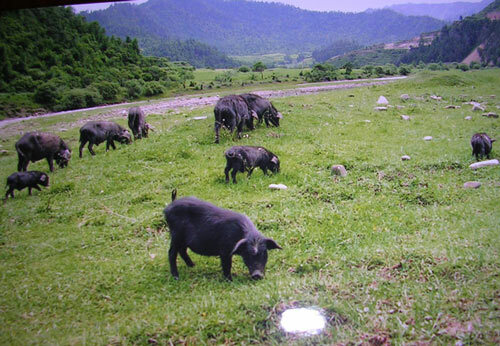 Hezuo Pigs are from China and are found in the Gannan Tibetan Autonomous Prefecture of Gansu Province. They are well suited to the region where the altitude in this region is high (2600 m), and the temperature low. The pigs are out on pasture year round, and are characterized by long, coarse and dense bristles, a slow growth rate, and low birth rate, with a litter size of 4 to 7.